Pineapples are all the rage right now. For whatever reason, I see pineapple print everywhere! When a client came to us wanting a video DIY of any sort, I jumped at the chance to create a welcome mat. I made one for my apartment almost a year ago and was ready to switch things up. 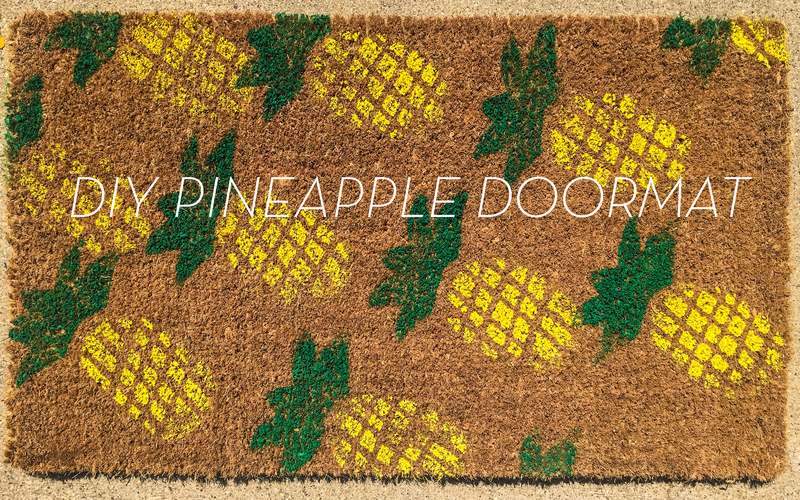 Plus, pineapples are a sign of hospitality, so this project is a win-win!